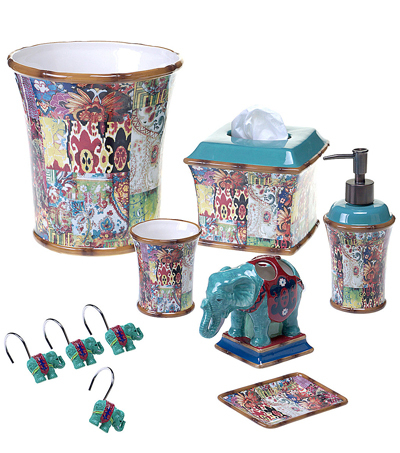 These Poetic Wanderlust Bath Accessories by Tracy Porter Leandre feature colorful floral detail in patchwork design. $12.99-$39.99. buy here.